It is the game of the year in the Class 2A Greater St. Helens League. And, going by records, it is the biggest game of the regular season pitting two Southwest Washington teams against each other. Woodland at Hockinson. Friday night. Oh yeah. This will be the last time this season two undefeated teams from the region play each other. It is 4-0 vs. 4-0. Hockinson, of course, is on an 18-game winning streak after going 14-0 and winning the 2A state title a year ago. Interestingly, the Hawks had two close or semi-close games last season. One was against Woodland. 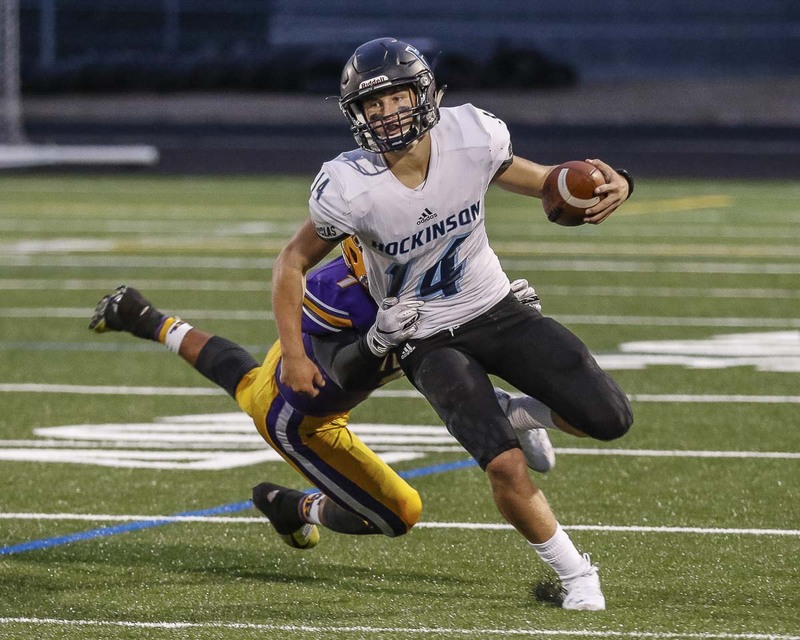 Hockinson would go on to win that game 49-27, but it was a one-touchdown game going into the fourth quarter. Two years ago, Woodland beat Hockinson. In fact, the Hawks have only lost one league game since the 2014 season — that one in 2016 to the Beavers. Because of that, the Hawks have Steele’s undivided attention this week. That has not been easy recently. For this game, though, the Hawks should be focused. The Beavers appreciate the challenge, Woodland coach Mike Woodward said. In four games, Woodland quarterback Tyler Flanagan has rushed for 753 yards and passed for 764. He has 11 rushing touchdowns and 10 passing TDs. Statistically, he is dominant. But no way he can do that without strong play from his offensive line. Defensively, the Beavers have a strong secondary, which could slow down the Hawks, Steele said. Of course, nobody has stopped the Hockinson offense in years. The fewest points they scored last year was 34. This season, it’s been 52, 42, 59, and 49 points. Quarterback Levi Crum has 19 touchdown passes. Going into this one, it is clear both teams have respect for each other. The Beavers know just how good the Hawks are, and the Hawks understand the Beavers have no fear going into the matchup. They were with the best Class 2A team in the state for a half. In fact, the Columbia River Chieftains feel they played better against Hockinson than a bigger name performed earlier this season. This is why there is so much optimism around Columbia River, even after a loss. Still, it was a one-touchdown game at halftime. Columbia River also scored first, had the lead early. If rankings are any indication, the Chieftains do consider themselves a candidate to play into November. Hockinson beat Archbishop Murphy in Week 2, back when Archbishop Murphy was ranked third in the state. It was close for a bit, but Hockinson took control in the second quarter of that game. Swain pointed out the play of Rylee Sadler and defensive back Monyell Hedgmon, who made several plays to knock down long passes against a pass-happy team. The Chieftains will hit the road in Week 5 for a game against Mark Morris. The playoff push has to start now. It was a non-league game, but it had more meaning than a typical non-league game for the Washougal Panthers. The Panthers got a win and have found some confidence, too. “We eliminated a lot of mistakes we’ve had the previous two week. 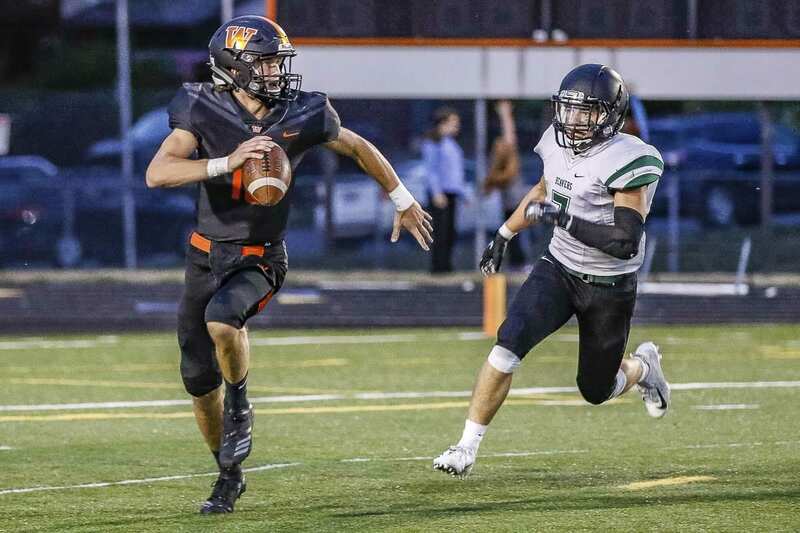 We went up and down the field,” Washougal coach Dave Hajek said. The Panthers recorded 470 yards of offense. 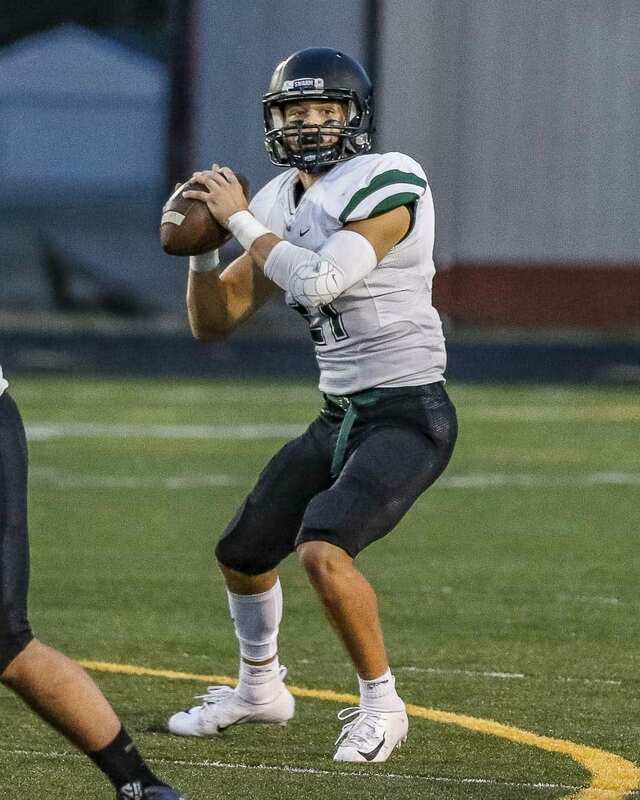 Dalton Payne threw for more than 300 yards. The defense looked stronger, too, getting turnovers and slowing down the Bearcats. The Panthers did this against a quality program. W.F. West did not make state last year but had made it to the round of 16 the previous four years. “We’re trying to figure things out. We’re a young team. We’re trying to improve,” the coach said. The Panthers return to league play against Ridgefield. The improved Spudders really wanted that game Friday night, to get their first league win since 2016. Instead, they walked off the field disappointed. Disappointed and determined, coach Chris Abrams said. And they could not wait to get back to practice, then play again in Week 5, to try to make amends. “They are looking forward to another chance to play. They are cherishing every moment they get,” the coach said. Win or lose, the Spudders hope to return to the philosophy that they started back in August. “We came out at the beginning of the year having a plan, and we lost sight of it a little bit,” Abrams said.